Sometimes a takeaway is just what’s required on a Saturday evening and after eating numerous (and enjoyed) Kings Dining curries a change was in order. 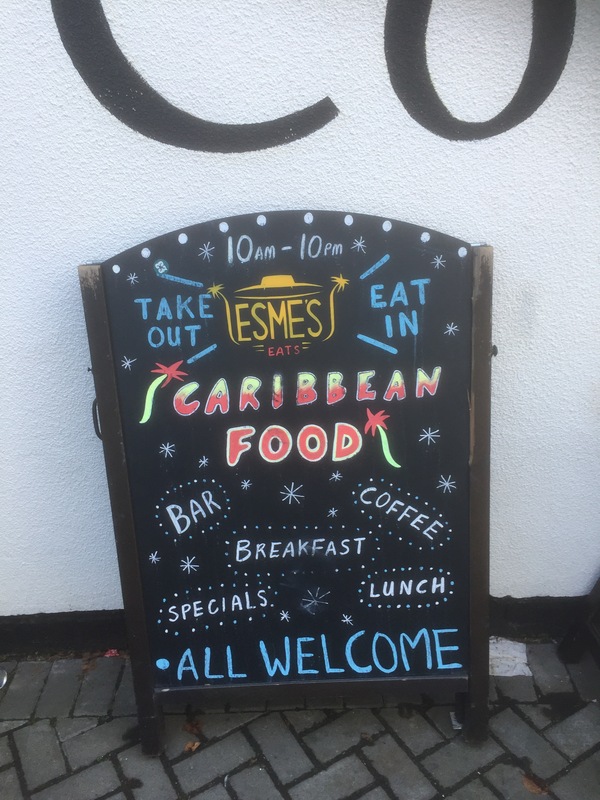 Ruth’s a big Caribbean food fan. She loves the meaty curries and flavours that are de rigour of the region. 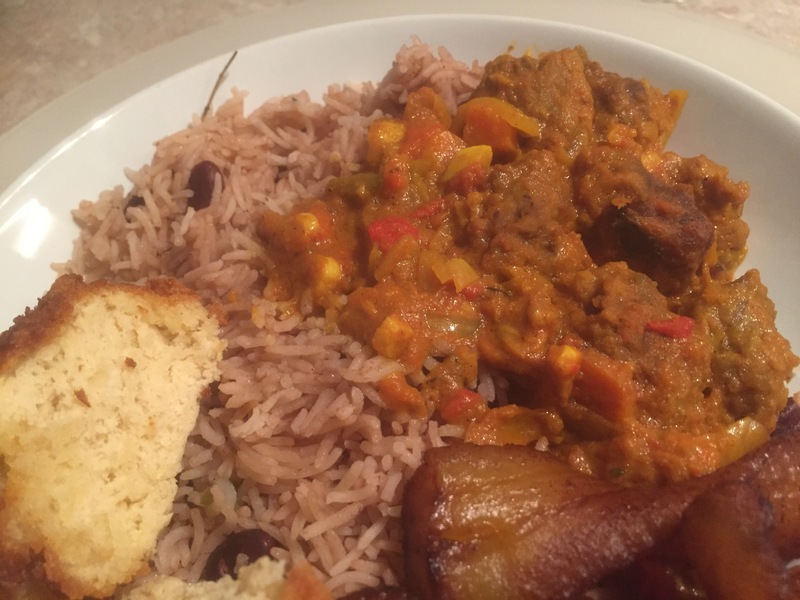 I’ve eaten a bit of Caribbean food, but as a veggie it’s harder to find the variation in dishes to keep me keen and interested. What I’ve eaten I’ve enjoyed and having been brought up in Handsworth the homemade Jamaican Rum Cakes I’ve had resulted in superlatives that I can still see, feel and hear now. 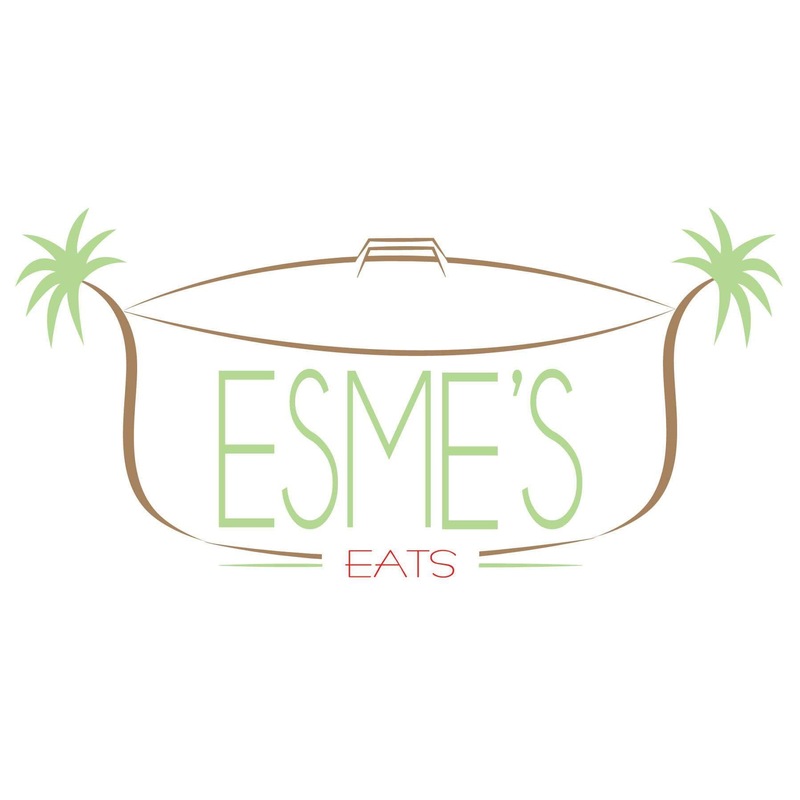 So it was on a cool Saturday evening that I walked up to Esmie’s Eats to collect our food. 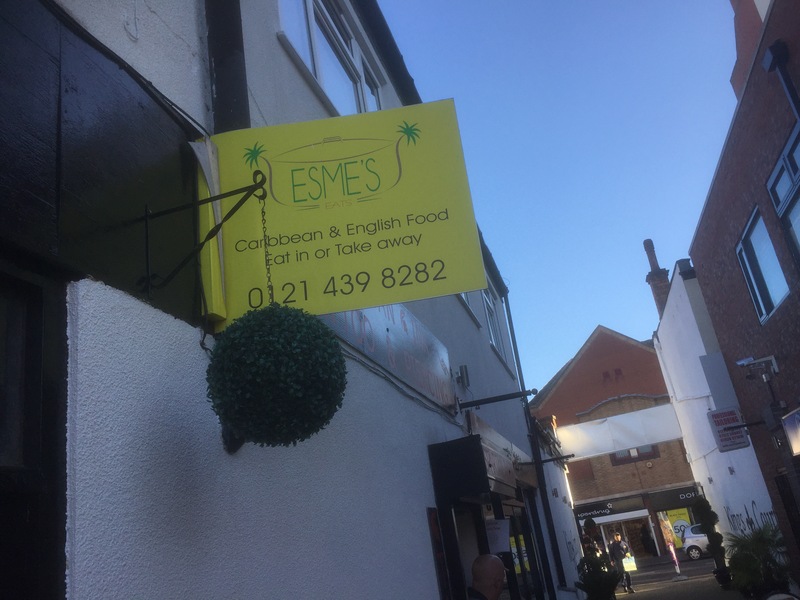 This local Kings Heath restaurant has had a bit of a makeover in recent months and offers, breakfasts, lunches and evening meals as well as takeaways. Inside it’s cafe like, but in a lovely way that makes it feel authentic and when busy would provide a cracking atmosphere that is the escence of the Caribbean. 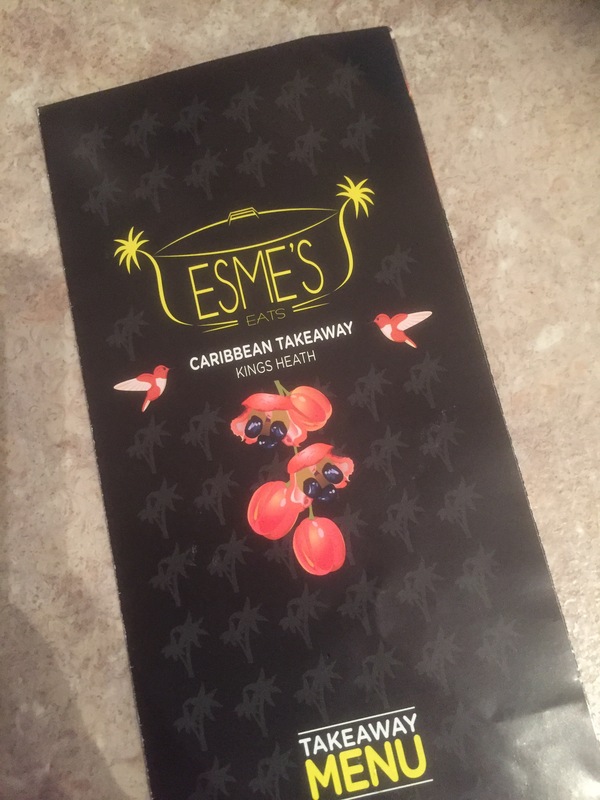 That evening it was quiet, I’d ordered over the phone and felt instantly comfortable and trusting of the lovely service and friendliness of Esme’s charms. 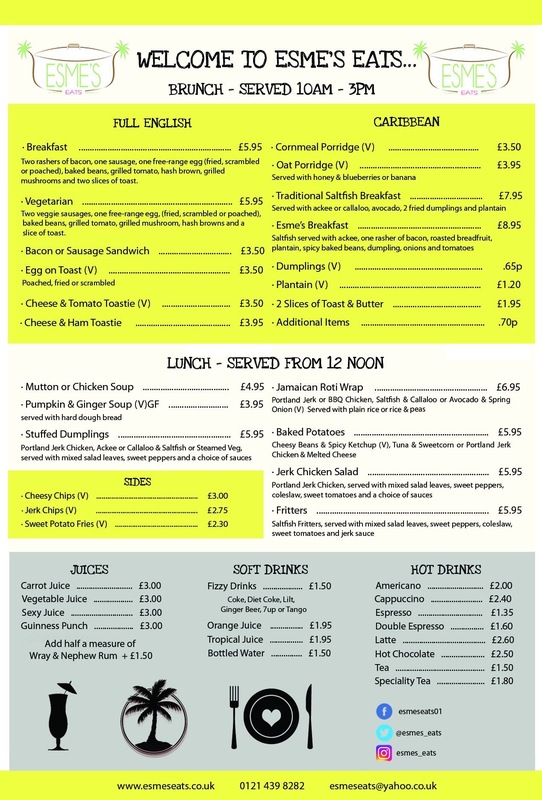 The menu isn’t as you would expect full of Vegetarian dishes but at this point I didn’t mind and the Veggie Mutton Curry intrigued me and scared me in equal measure. Made from soya protein and mushrooms slowly cooked in its own juices its a delightful dish, that was as piping hot as the Strictly dancing that gobbled me up with my thirst quenching Purity Ubu beer. Full of good flavour and subtle spicing it was a lovely warming dish that was deeply satisfying. 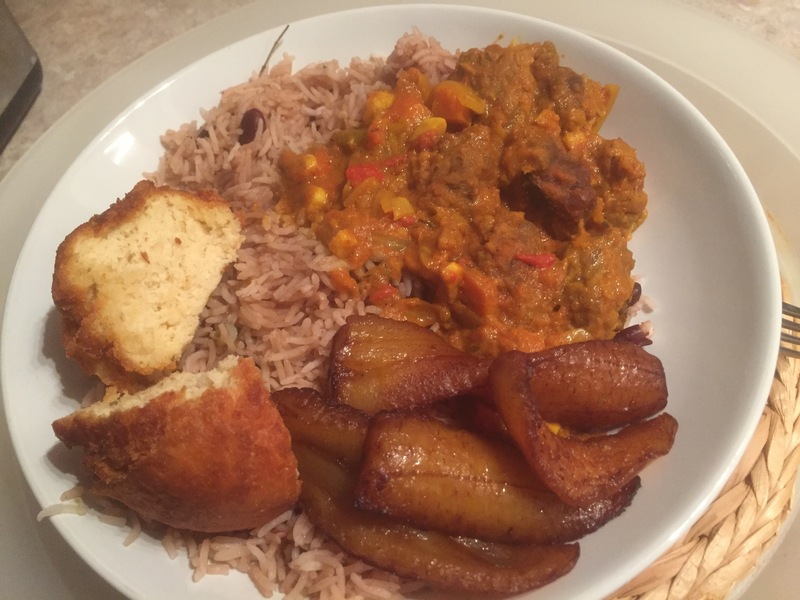 Served with Rice and Peas. We also ordered a portion of Fried Dumplings and a side portion of Plaintain which were both excellent and added to the curry. 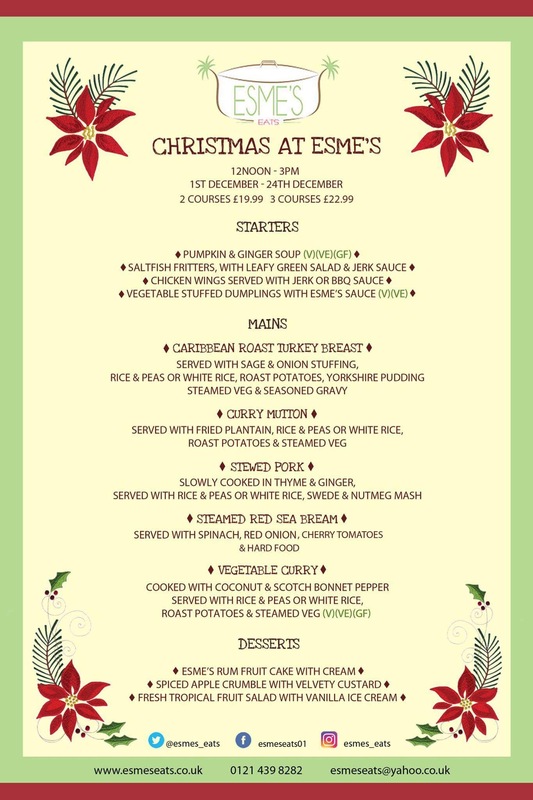 For heartwarming food Esme’s Eats is a good choice for an alternative weekend bite. 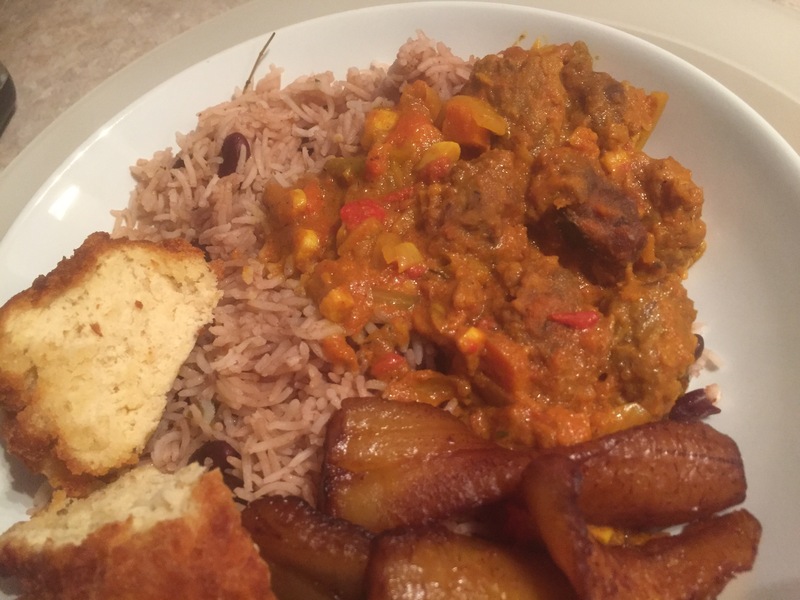 Especially if you live with a meat eater and don’t won’t to do without the Veggie Mutton Curry is heart- warming food with good flavours and spicing and a satisfying meal for a winters evening. For veggies well worth trying. 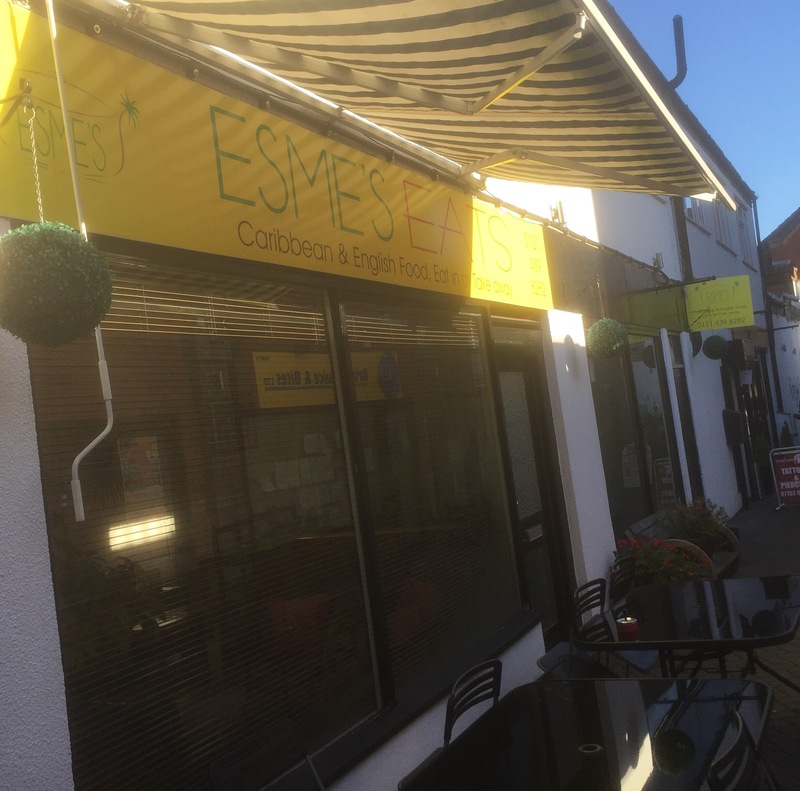 Esme’s Eats is located in Kings Court in Kings Heath High Street opposite ASDA. 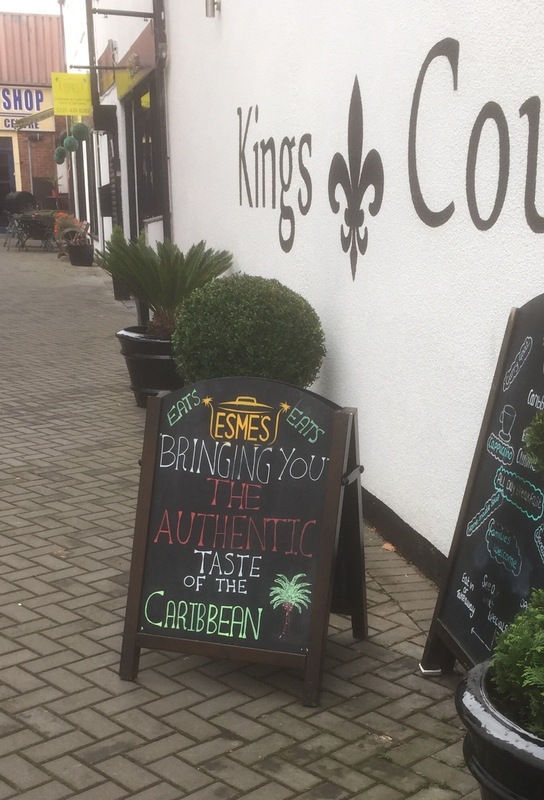 3 Kings Court, 93 High Street, Kings Heath, B14 7JZ.